In the beginning, there was nothing. And God spoke worlds into existence. By words, God spoke worlds into existence. According to the biblical account, God spoke, and there was. Maybe you think that’s too magical, or not the way real life works. But I know better. I know that when parents speak constant words of criticism, children grow up thinking they will never measure up. And when parents speak words of encouragement and support, children grow up believing in their ability. I know that when presidential candidates speak a word of hope and optimism, then people vote for them, believing that the world they describe is actually possible. And when politicians speak words about fearing those who are different, people actually live in and act from fear. I know that when I speak words of encouragement and support to the people I work with, they take those words into their work and do excellent things. I know that when churches constantly talk about how small and insignificant they are, they will act in ways that are small and insignificant. And when churches are told that they are changing the world for the sake of God’s purposes in the world, they find a miraculous boldness of action. So, I don’t believe it’s a stretch of the imagination to believe that we call worlds into being by the words and speech that we use. I decry the violence of the world. 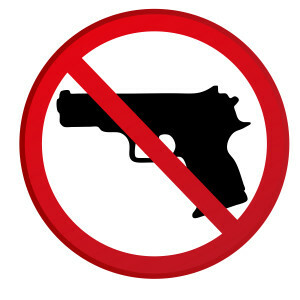 I decry that children are killed through senseless gun violence. I decry that our culture has become so fearful of the other that we think that guns have a place in providing safety. So, I want to call into being a different world. I want to call into being a world that eschews violence. I want to call into being a world that is based on cooperation and dialogue and love and peace. You may think that’s pie in the sky and has no connection with reality. But I don’t believe that. And because I want a different world and because I want to call into being a different world, I have decided there is a whole set of words that I will no longer use. I will no longer say that I am “blown away” by something that is full of wonder. I don’t want my wonder to be associated with language of violence and death. I will no longer “pull the trigger” when I am ready to move on something. When I move forward on a great opportunity, I don’t want it to be associated with killing something; I want it to be associated with bringing life. I will no longer seek to reach a “target audience” but will talk about the group of people I’m trying to reach. I will not longer talk about “dodging a bullet”, but of avoiding a close brush with danger. If I think about this, there is an entire world of language that I use that is the language of violence. With a little discipline and attentiveness, I am embarking on a crusade to remove that language from my usage. This may seem like a small thing, but I don’t think so. I think there is power in the way we use words. The numbing of our collective psyche to violence is betrayed by the way violent language has become ubiquitous in our usage, and we don’t even notice it. In my circles, there’s been a movement to dismantle the traditional church Sunday School in favor of a very different approach. I suspect there’s some merit in the idea. But I was caught off guard when the movement was given the name, “Kill Sunday School.” There’s something drastically wrong when even in the church the best we can come up with is the language of violence to promote what otherwise might be a good idea. So, I invite you to join me. Purge the language of violence and guns and bullets and targets from the way you speak and write. Who knows, we just might call another world into being with our words. This entry was posted in Uncategorized on February 16, 2014 by Jim Honig. Wow, Jim. Thanks very much. I will print this out and use it as a checklist for the text of sermons. One has to think about the origin of the common use of this language. It’s a bit stereotypical, but perhaps too many older white men watched too many Westerns growing up? Yes, maybe. But at the least evidence of how ingrained the gun culture has become even for those of us who don’t like it and don’t want to be part of it. Thanks, Jo. And thanks for caring about it!